Tips for building and strengthening muscle. Did you know your body has 700 different muscles that make up roughly half of your total body weight? While you can probably only name a handful, they each play an important role in your ability to move, maintain posture, digest food, breath, stay warm, and circulate blood. When you have more muscle, everyday tasks are made easier, you become less likely to suffer injury, and your better able to lose weight quickly. This is one reason why weight training is key to a balanced workout routine: gain more muscle, lose more weight. 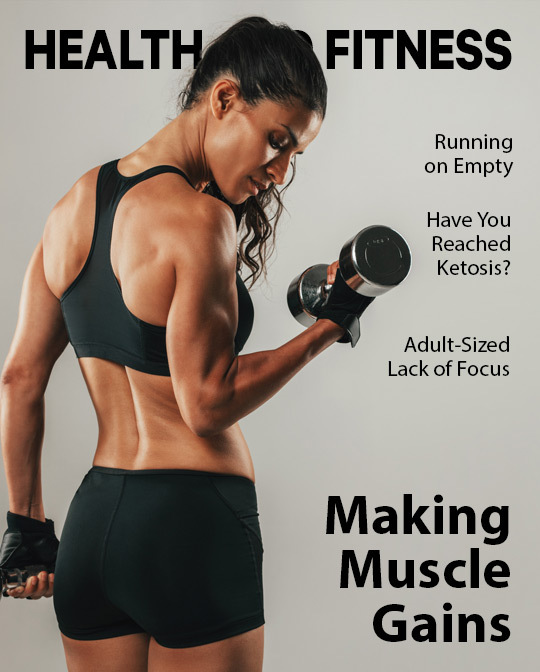 Keep reading to find out the steps you should take to increase muscle mass and put your body in position to trim down with greater ease. If you think you’re about to read all about reps and sets, think again. Diet plays a big part in building muscle. Every bite you take, whatever foods you eat either help or harm your muscle gains. So when you’re starting to plan out your muscle-building diet, eat more protein. Be sure to replenish your muscles after each workout with a meal or snack that includes both carbs and protein. Eggs, fish, meat, poultry, nuts, beans, tofu, tempeh, and dairy products are healthy sources of protein. You can also drink your protein by making a smoothie with whey, soy, or casein protein powder. You may be trying to cut calories in an effort to lose weight, but in order to build muscle you’ve got to eat plenty of calories to fuel your workouts. The key is to eat healthy calories instead of junk food. Center your diet around whole foods that are nutrient-dense in order to gain muscle and lose fat. You can spend a lot of time at the gym but never see much change in your muscle mass when you’re doing the wrong kind of exercises. Unless you want to build just one area of your body, you need to be spending your time with compound exercises. These multi-joint movements work more than one joint at a time, meaning they work more than one muscle group at a time as well. The end result is that you can lift more weight, build more muscle, and burn more calories in less time. Your weight-training routine should be built around exercises such as squats, deadlifts, bench presses,	overhead presses, and rows. It may be common sense, but keep in mind that you aren’t going to get bigger muscles on accident. You’ve got to work your muscles for them to grow. Exercise experts tell you that if you want to gain muscle mass, lift the amount of weight you can handle for 6 to 12 reps while maintaining proper form, pushing yourself until you can no longer maintain good form. This threshold is known as muscle failure. For maximum muscle gains, rest a minute to a minute and a half between each set. Resting too long or too short is counterproductive to your workout. Doing the same workout every day with the same amount of weight isn’t going to provide muscle gains. Gradually increase your load or number of reps each week to challenge your muscles to new levels. Use an app or journal to track your workouts to make sure you’re constantly improving. During a strength-training workout, tiny tears form in your muscle tissue. In order for your muscles to heal, they require a day of rest between training sessions. It’s during this rest that nutrients are delivered to your muscles through the healthy food you’re eating to repair the damage, form new muscle tissue, and strengthen existing muscle. On your rest days, keep an active lifestyle with some low-intensity cardio or flexibility exercises. As with any exercise, it’s important to stay hydrated. Even slight dehydration can lead to drops in performance.